Welcome to the Apple Store complaints department brought to you by HissingKitty. Experienced poor customer service? We make it easy to file a formal complaint against Apple Store online. Simply use our free form and your feedback will be instantly forwarded for review. Need to contact the Apple Store corporate office? We have the mailing address, phone number, and email address listed below. I HAVE TRIED TO BE REAL UNDERSTANDING WITH YOU PEOPLE BUT IT IS NOT WORKING. HOW YOU KNOW THAT I HAVE AN IPHONE DOES NOT SET WELL WITH ME DUE TO THE FACT THAT I DID NOT BUY IT. THIS IS TELLING ME THAT YOU TRACK ALL OF YOUR PHONES. THAT IS NOT A GOOD MOVE WHEN IT COMES TO ME. WHEN I ASK YOU TO LEAVE ME ALONE THAT IS WHAT I MEAN. I AM AN OLD VIET NAM COMBAT VET AND I DO NOT LIKE TO BE PUSHED BECAUSE I WILL PUSH BACK. THIS IS MY LAST REQUEST TO YOU. PLEASE (STOP) ASKING ME TO BUY YOUR PHONE PERIOD. I AM AWARE THAT IN AMERICA YOU FEEL THAT YOU CAN JUST BUG PEOPLE INTO SUBMISSION. I AM NOT ONE OF THOSE PEOPLE , I WILL COME AND SEE YOU FACE TO FACE. JUST STOP THE EMAILS, I DO NOT WANT TO BUY ANYTHING FROM YOU. I DO NOT LIKE THE WAY YOU CONTROL PEOPLES PHONES. My wife’s data storage on her iPad and iPhone kept increasing of late to the point of increasing her iCloud account storage up to 200 GB from 50GB and it was still increasing. The online support told her to delete her iPad backup. My wife then brought down her iCloud storage back to 50GB’s because the backup storage came down. But, soon after it began increasing again. That was NO HELP! Now all of her folders, text messages and other information was only left on her iPad. We couldn’t back up because it took days (6 and counting) and it still was trying to backup. We just went to an Apple store for some one on one help today. The store technician had her default her iPad, which now erased anything she had as documents or data on her iPad because there was no backup on iCloud. Then to copy from her iPhone to her iPad. It made things worse because now she has nothing left (recipes, important text messages, passwords, pictures etc.) from the first day she bought her iPad and started storing her library of information. What kind of ‘Pilgrams’ work for Apple (core)!? My wife is heartbroken to lose all of those years of collecting and I’m pissed and disappointed Apple cannot support their customers better. I am seriously thinking about chucking all of our Apple devices during our next upgrades and going with a competitor. This is just b*ll sh*t!! I am quite suprise how come allow a game app which is "SAINT SEIYA COSMO FANTASY（TW）" put into Apple store for updated. Everytime update the app, it will crash with the latest ios. Today I am update the app and try to open the App, it willl be crash and close the app. My Devices is Ipad mini and Ipad Pro, IOS is 12.1.1. Please ask the developer to fix issue immediate and stop the Apps. I am Long Term Apple Fan since Apple 1 to now, however it comes out frustrate Apple Store the censorship about application Apps Quality Assurance. I have Iphone 4 and I am unable to use my phone anymore and I did contact apple and I was told that this phone is now vintage and apple is unable to help me. I feel that I have been cheated by Apple and when I bought this product I was not informed that this product i am purchasing will become vintage and I will not be able to use this phone any more and if i know about this then i would have not purchase this product. i would like apple to upgrade my Phone and compensate me by upgrading to next level of Iphone which I will be able to use. please contact me on 0400556065.
iPhone 6s would not charge. I told him I believe the battery was bad. The Genius at the Scottdale AZ stored took the phone for 5 minutes and came back and stated it was not the battery and the phone cannot be repaired. Questioned him and he stated confidently the phone was unreparable. Took the phone to unbreakifix location. Tech took the phone for 5 min and stated the battery was bad. Replaced the battery for a lot more than the $29 Apple would have charged! Phone is working great now. Seriously Apple?! This is unethical. Just few days ago, I went to Truro, Cornwall, Apple Store to buy an I-Phone XS Max, for my daughter, because in few weeks it will be her birthday. They said if I want to buy one, at first I have to pay it , and after that they can show me a Mondem Phone.They said there are many robberies, and they are afraid to be robbed, and they can"t show me one just if I pay at first.The saler name was Shahid. I am a doctor, and for me was embarassed whole the situation, so at first you have to pay more than 1000 pounds, and just after that you can see what you are buying. I have asked to speak to the manager, he listened my concern , and without saying anything he just dissapeared. Don"t go to Truro Apple Store in Corwall, because they will think that you want to steal their products. My name is Raychell Hornbeak-Abron. For my daughters 16th Birthday she was given two options. A birthday party or a New IPhone. Of course she chose the IPhone. She cracked the screen on her phone without my knowledge. Then, she takes it upon herself to get the screen repaired. Fast forward two months later, she cannot make calls, nor can she receive calls. I took the phone back to the AT&T store where I purchased the phone. I was told that it was a manufactures defect and to take the phone to the apple store. The apple store is 45 mins from the suburb we live in. I make the drive only to find out YES YES this phone is under warranty however since a third party or unauthorized vendor touched the phone it voids the warranty. I had no clue the phone ever cracked or was ever touched by any other company. First off I will deal with the repair folks to let them know they had no business entering into a repair contract with a minor. The technician that helped us was very polite. No issue with him at all. He went to speak to his Manager, who advised that we no longer have a warranty. It was void. I asked for the contact information for his MANAGER. He didn't have a card for the manager whos name is Corby at the Indianapolis Apple store, but he had a generic card and wrote his name down. From a customer service stand point, once I asked for the managers info, the manager should have come out from his office to speak with me. Instead he lets the technician speak for him. I understand that rules are required to ensure success and to sustain a for profit company, however exceptions can be made in special circumstances. I was told to just file a claim and pay the 200.00 deductible. To me that is fraud. To say the phone is lost or stolen is dishonest. I never want my integrity questioned. The technician stated that he could not be 100% sure that the defect was due to the screen replacement OR a manufactures defect. In this case, it would seem as though you would error in favor of the customer. I was also told to just pay 349.00 for us to repair it. Again, the defect may or may not be the cause, however as the customer I'm at a loss. I supervise a group of customer service reps whom I have empowered to make decisions that are a win win for our customers and our company. Yes, sometimes it is a small loss for our large company, however, a small loss is better than negative hits on social media, and the loss of new business due to the small loss. They are empowered to satisfy customers. If the situation warrants, I will reach out to the customer personally, but rest assured the rep understands to offer everything in their power to keep the issue from escalating. If the technician is not empowered to make a decision to satisfy me as a customer, the very least would be for the manager to come out and take care of his customer. Bad part is, when I took the phone to the ATT store, they sent us to the Apple store, again stating it was a software issue. I also took it to the Company that repaired the screen only to get the same information, its a software issue. I'm only asking that the phone be repaired of replaced. We have been apple customers for a along time, and this is my first issue ever. I contacted the local Better Business Bureau, as it states you have an A rating, and was told to reach out to customer service by letter to see if this issue could be resolved before they open a case for the complaint . I look forward to having this problem rectified soon, as my daughter has no way to call me, nor can I call her. My Apple ID has been disabled. I recently found out that someone has hacked my account and made unauthorized changes. I called in hopes of identifying this fraudster, banning them from use of my account, and gaining access to my account. These are not unrealistic expectations of your Customer Service Support Staff. When I called in, I spoke with "Josh Gibson" who was completely incompetent and unable to perform the job that he is expected to perform. He was unable to provide me with any level of security or assist me in attempting to identify the fraudster hacking my account. He could not remove the fraudulent email that had been added to my account, he could not assist me with gaining access back into MY account. He had no plan or solutions to my problem. Josh seemed uneager to help, disengaged with the customer, and displayed a clear ineptitude regarding apple products and account security. This is by far the worst customer service I have ever received in my life. I am now stuck with no plan or solution for this Identity Theft. I have no way of accessing my account or removing this fraudster who now has full control of my account. I am in a worse position now than before I called in and spoke with Josh Gibson. This employee lacks the necessary knowledge and skills to be in this position at Apple. His clear lack of customer service skills and ability to help customers is a threat to any Apple customer that comes in contact with this man. I believe it is irresponsible as a company to continue to employ this man and allow him to dictate the Customer Service process. I strongly recommend that Josh Gibson (Employee ID: APLL010977CX) be removed from his responsibilities in the Customer Service Department at Apple. This has been an incredibly poor experience and makes Apple look extremely unprofessional as a company. A change needs to be made. called and made appt at university shopping center in fort worth texas (7-28-2018) 6:30pm. was quoted a price and ordered a phone. upon arrival the next day(7-29-2018) I was then told the phone would be double the price quoted by another sales rep. she neglected and refused to look up the information, looked at her watch, told me her 40 hours were up and walked off not sending anyone to finish the transaction. flagged down another worker, she looked up and solved the problem. couldn't get passed the first girl dressed with a toboggan (in july)?????? ?and green hair. rather large rear end with flat facial features. cannot believe it actually happened after being told you train your employees for a month before hiring? obviously she needed more training. thank goodness the other girl that was flagged down after she left us hanging solved the issue. I spoke with a total of three customer service persons with each of them giving me three different timeframes. I had no problems with my telephone until I applied Apple's updates which rendered by phone almost useless. I spoke with one person on January 5, 2018 who was supposed to have ordered the batteries. She even gave me a confirmation number and said it would take about 10 days, but I was to go to Best Buy in Myrtle Beach to have it installed. So, I called back on February 7 to check on the status and spoke to one representative and she placed me on hold to check on the status then she said she saw the confirmation, but she needed to transfer me to one of her junior associate, she further said it could take up to 10-days before the battery would arrive. Now I am transferred to the next rep. who placed me on hold for a very long time he also stated he had just sent the information that was given to me which was incorrect over to that rep and her supervisor. He further said he was going to speak to their public relations person then he came back stating he could not replace the phone (which I never asked him to do) I merely wanted my phone repaired with a new battery. He then said it could take up to 6-8 weeks to get the battery and I would need to go to Charleston to get the battery but Best Buy is not an authorized dealer but there was another store that might do it for me, but they would be in contact with me if they were able to assist me. it just doesn't make any sense because if you don't have an idea if the person is able to assist then how do you know where to send the battery. Oh, and that email that I was supposed to have gotten within three days from the original call never came. I still don't have clarity on what is happening but I am confident Apple needs to do a better job in training its staff, so everyone is providing the same and correct information. I had no problem until those upgrades were applied and I would think a company of this size would do a better job in providing excellent customer services to their customers. I am one unhappy customer. I am very disappointed and dissatisfied by the service I have received from Trinidad and Tobago after recently purchasing an iPhone 6S. The merchandizer at Trinidad gave me seven days refund or exchange the phone started giving tremendous problems with charging the battery, I cannot even go to something as simple as Facebook. On the sixth day I decided to take it back to store; the merchandizer was reluctant to refund or exchange. The phone serial no. DNPRPRFZGRY9, IP Part No. MKON2LZ/A. I hope Apple can assist I will be sending receipt and all necessary information soon. In the pass six weeks my apple phone has been loosing battery triple of what it should, I have gone to the apple store in Orland Ill twice which both times the kept telling me oh this apt is draining my battery down. I've had this phone about 11 months This problem started about 6 weeks ago, up till that time I was very happy with my apple products. I clear everything in the phone like they told me two, and re-started it like a new phone still the same problem. Every time that I have to go to the apple store its 36 miles round trip, and I have to make a appt. I use my phone for work and I have to carry my charger with I did not buy this phone to have this problem. 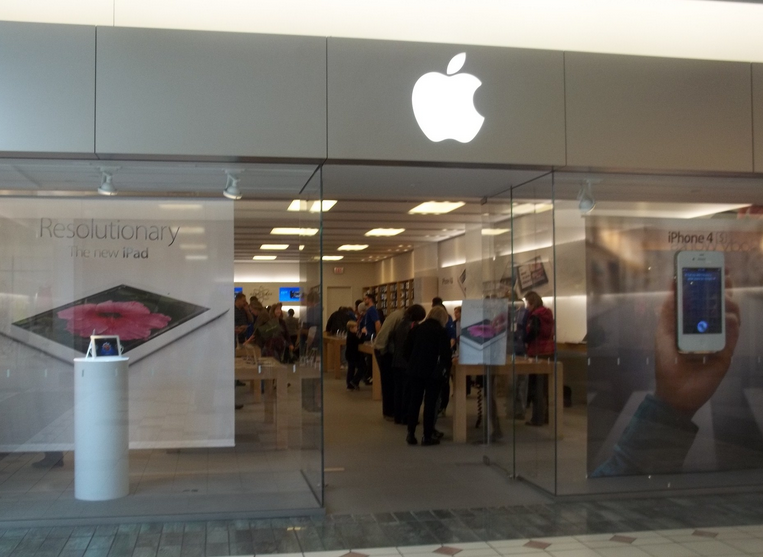 I brought my Apple phone into the Apple store at the East View Mall location in Victor, New York for the second time for a problem that I can not hear on it. The receiver or what ever was changed the last time and it lasted only about a month and has occurred again. I arrived at the store for a 2:30 appointment and they said they could not take me until 4:30. this was the first problem. Secondly as I arrived for the 4:30 appointment the positioned me at a table up front. Now I have waited at that table for 20 minutes for someone to arrive and talk to me. Finally a service person arrived and I explained to him what the problem was. He took my phone and came back 10 minutes later and said there is a problem with the phone. I said really, that,s why I'm here. Then in a snotty tone he looked at his tablet and said come back at 6:00 and we will see what we can do. Totally unacceptable. At this point i HAVE HAD ENOUGH. If this is the way you folks do business and treat your customers, I don`t need you. I want a new phone, I want it now or my next correspondence will be to the Attorney Generals office and the Better Business Bureau which I have had great luck in the past. I will be treated with the respect I have earned and deserve. Your timely response will be appreciated. Hello, I now reside in Atlanta Georgia, I lived in NY, ok while back in NY, I went to your apple store on 1981 Broadway, New York, NY. I was looking to purchase a Mac book, upon entering the store, I was immediately followed, for I am a African American, so while browsing, I was starting to feel uneasy, so I made my selection, there was a lady purchasing the same thing, this lady was not asked for I d, but when it came to me I was asked for ID and made to seem like criminal, made me feel bad, so I left the store, without getting the employees name, please advise, I love your products. iPhone 5, 2 1/2 years old and no AppleCare, started bulging on the left side. The home button was hard to press, but the phone was otherwise functional. Made appointment with Apple genius bar (I had to go to the second-closest Apple Store 45 minute drive away, as there were no slots available at the closest). I was a few minutes early and had brought my MacBook with me, so I started a backup. Genius comes over, tells me I'll be getting a replacement phone. For free. He stayed with me until all data was transferred to the new phone and it was all charged up. I went to the apple store on Michigan avenue, and their service were very poor. Upon entering the store no one greeted me right away. Actually I had to track down a worker to see about cosmetic damages to me phone. But it took about an hour for a scheduled appointment. Which throw my schedule off all the way. This incident alone had me late for work. This was very bad customer service. My 14 year old son saved for almost 2 years to purchase an iPhone 4S a little more than a year ago. Last week it stopped charging. We took it to the local Apple store near us where we were told that there was some water damage. They confirmed that it was not "submerged" but had some water damage to either the Logic board or Dot connector. Not repairable, need to buy a new one. I waited 45 mins. (my apparently lost appointment was for 11am and got help 45 mins. later, and the process to get an apt. was not an easy one), to be told that they cannot repair this $400 plus phone??? What garbage! Firstly, the only water damage this phone could have had would have be from some rain. My son was caught in a rain storm on his way home from school just before it stopped working. He assured me it was only in his pocket, and I do recall his shorts were damp when he got home. He also has a protective cover on the phone. If this phone is so poorly manufactured that it can't handle a bit of moisture, then I would recommend that no one buy it. I'm very disappointed in Apple and the store. Not only did I have to wait for 20 mins on the phone to get some tech support to start with, but then had to go to the Apple store, and after making an appointment on line, then waiting to ask someone at the store where I go for my appointment, then having to wait some more only to be told they could not find my appointment, then having to wait more to talk to a tech rep. Although very nice, they were oh, so quick to try to sell me a new phone. I've heard of similar situations before and Apple's answer is "buy a new one." I'm terribly disappointed, and will no longer purchase Apple products as the whole experience has left me with a very sour taste in my mouth. I am complaining here, (to make matters worse), as I cannot reach anyone at Apple Canada via phone or e-mail to voice my complaint. Two weeks ago, I purchased an iPhone 5s. Within less than a day, the sound on the phone did not operate. Then, I went back to the Apple Store where I purchased the phone, and they replaced the previous phone. After this, the replacement iPhone 5s did not hold a charge, and it could not connect to the internet. I would shut off all of the apps and the battery on the phone would die. Despite charging the phone every day for the week I had the replacement, the phone would not charge and the wireless did not work. I went to the Apple store to get a refund, but they did not give me a refund for this product. Instead, they gave me a third phone, which does not have my correct contact information. Instead, the Apple employee placed my father's contact information on the phone with my number. Because of this, my dad who had an iPhone 3 had his phone deactivated. Tomorrow, I have to go to my cellular provider and explain this situation. Hopefully, this problem will be corrected. My father and I saved our information to separate iclouds. I do not know how his information and my information managed to get messed up. In fact, this makes me want to switch my iPhone 5s to a Samsung Galaxy 6. Before the iPhone 5s, I had a galaxy phone, which had battery issues. But unlike the iPhone, it was reliable and could hold a charge two weeks after I purchased it. The employees from my phone provider where more competent, than the store associates at Apple. Before I purchased this iPhone, I owned three iPods that are old and functional. Over the last few years, Apple has really gone down in terms of the quality of its products. If Steve Jobs was alive, he would not make an iPhone perform this badly over such a short period of time. In fact, this phone makes me want to get one of my old iPods that can make phone calls screen fixed, so that it can function better than these new iPhones being mass produced. Beware iPhone 5 warranty is not worldwide. Bought an iPhone 5 in NY from apple store. Has the well know weak wifi problem. Took it store in Birmingham to be told they will not even look at it. Rang Apple care. First guy said a replacement would be sent via post. Once we tried to set up exchange a manager got involved and said warranty is not world wide. Phone is useless and only 10 days old. Apple position is find a friend in USA and get them to take it into a store. I'm very disappointed with you customer service and your apple repair. I had an issue with the ipod since few weeks, so I went to the apple store to get it repaired. Once your genius apple specialist Jesse Usher has confirmed the ipod wasn't working properly, he offered me to exchange it right away. Since I wanted to keep the engraving he explained me that I had to send it to your office and they will send a new one for engraving. The issue was there, the ipod wasn't working properly so I don't understand why repair center said that everything was ok this the ipod. And deeply upset because your employees didn't do anything to repair it knowing that there is a problem with the ipod and I piss of because apple sent me back the same ipod with the same issue!!!! Is this the new apple policy? If so you should let the customers know about that! Dear Apple Corporate Manager, we have been a loyal customers of Apple for many years and many products, maybe because Apple has became the most important company, we are experience this situations. I just receive the IPhone5 two weeks ago, after a very long waiting. I had iPhones from the 3 to up today, so it's my whole family, also have several IPads and Mac lop top. Yesterday I noticed my iPhone face glass had a single large crack, I went to Biltmore Apple store, looking for a solution, After talking to 4 associates requesting to talk to a Manager named Reide Clark , they keep blocking me to do so, until finally let me talk to Ben Kirchner, I didn't know he was a Manager until the end of our conversation, he was very rude and unprofessional, I explain that the phone was only two weeks old, and I believe the phone was very fragile comparing. To the previous phone I had for years, he never show any concern at all, and told me that the only option was to buy another phone for 229.00 wish I consider very offensive after being your customer for many years. When I ask him to talk to Mr. Clark, he mention to. Me that he was a Manager also and if I talk to him it will be the same answer, apparent being to funny my request. I do not understand why should I buy another phone when I have a two weeks old phone, why Apple do not replace the glass, that makes me believe that any issue whit this new phone it will be necessary to buy another phone. I am very concern about this phone and the attitude of the store Manager it is to me unacceptable. Hope I can get an answer. Have feedback for Apple Store?